We consider the Kitsap Peninsula separately, apart from Gig Harbor and Bainbridge Island, which present different dynamics as each is a close-in commuter market for a major city (Tacoma and Seattle, respectively. Bremerton is the largest employment center in Kitsap County.) 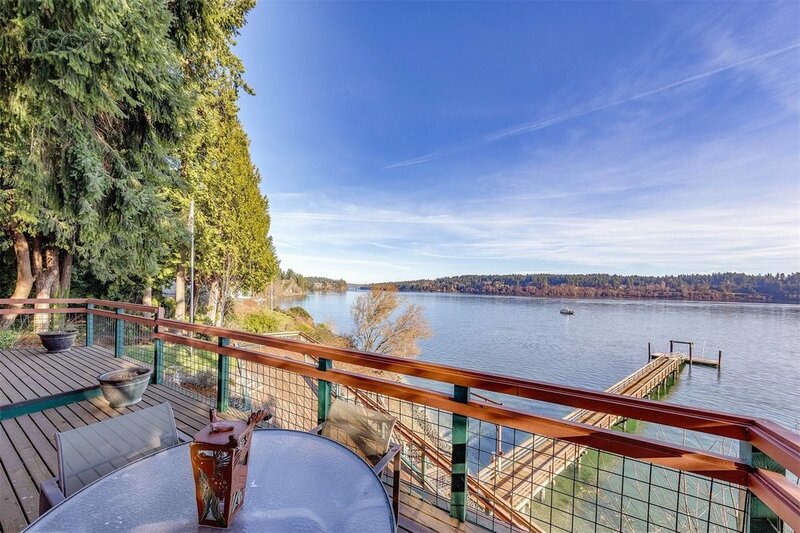 This peninsula offers saltwater frontage from Hood Canal to the Puget Sound, and homes are often more affordable than equivalent properties in exurban communities along the I-5 and I-90 corridors. Waterfront prices here are distinctively influenced by city and mountain views, and access to ferries (i.e., at Kingston and Southworth). 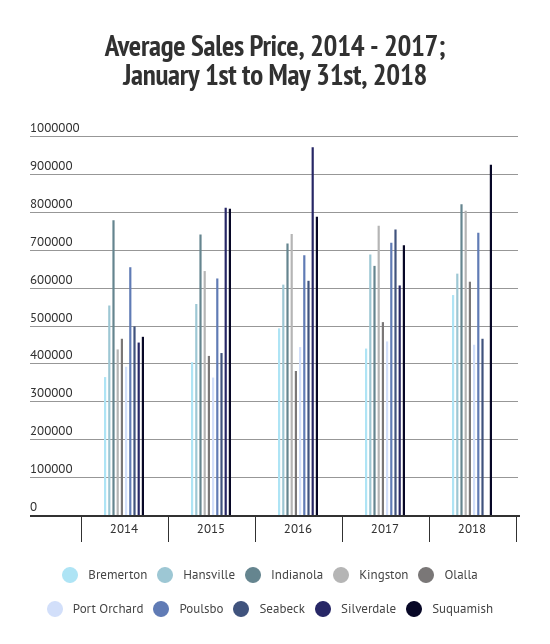 With 230 miles of coastline in Kitsap County, there were 49 waterfront sales between January 2018 and May 2018. The average selling price of these homes was just over $580,000, and the average price per square foot was $312.43. The highest price paid was once again in Kingston, at $1,550,000. Waterfront homes in this sub-region sold within 92 days on average.